Segnant Technologies is excited to announce the launch of the Ploose website. Have you ever found yourself bored on a Friday night with no idea of where to go? Ploose could be your solution. Ploose offers a wide array of services from finding the hot spot to hang out at to finding transportation to the location. 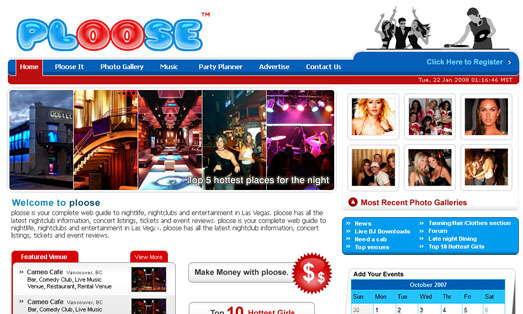 Ploose’s website is organized by city and type of venue. Check out Ploose.com to plan your next weekend event!